More than 80 percent of the almonds sold worldwide are grown in California. The state also is home to one of the best examples for creating habitat for honey bees and other native pollinators needed for bountiful almond production. Olam’s almond orchard, near Fresno, California, worked with the Xerces Society and General Mills to create nearly six miles of flowering hedgerows, as well as wildflowers and plants. Installed in 2014, it continues to provide a nutritious food supply for the pollinators who take up residence in and around the orchard. 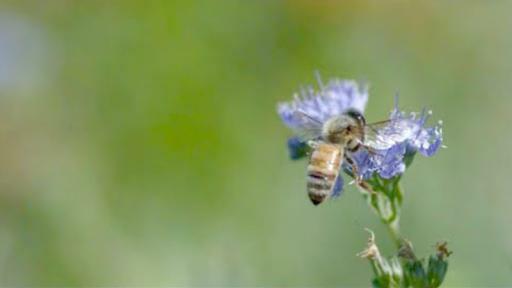 The Xerces Society is on the forefront of protecting pollinators in the U.S. and we’re proud to partner with them. General Mills is involved because Olam is one of our almond suppliers for several products, including LÄRABAR and Nature Valley. This video showcases the collaborative pollinator conservation effort and some of the people behind it. Eric Lee-Mäder, who co-directs the Xerces Society’s pollinator conservation program, says the organization’s work with Olam is the future of its work and partnership with General Mills. He talks about Xerces Society’s mission, impact and ways others can get involved, in the “A Taste of General Mills” podcast.